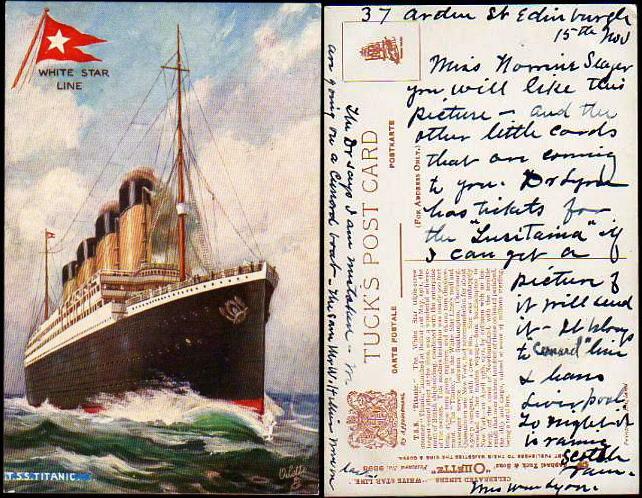 Here is a post-sinking Tuck's Titanic postcard dated 15 Nov. Although the year is not listed is does give a great reference to the Lusitania prior to being sunk on May 15, 1915. This dates the card from 1912 - 1914.